This 7.62x39mm ammunition from Wolf is a versatile, cost-effective choice for hunting and target shooting alike thanks to its soft point bullet. Each cartridge in this bulk priced case of 1,000 fires a 124 grain semi-jacketed projectile that delivers mushrooming expansion upon contact with deer or other game. 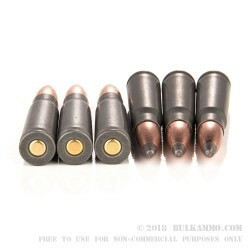 These Russian-made cartridges use non-reloadable polymer-coated steel cases that provide reliable cycling and ejection. They are very similar to the lacquered ammo that the AK and SKS were designed for but produce less fouling. This ammo has magnetic properties due to its steel components and may not be suitable for all indoor ranges. 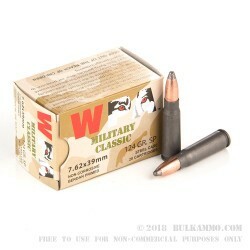 Q: The 7.62x39 wolf ammo that you sell be reloaded? If not what brand do you sell, can be reload? A: Hello, These 124gr. 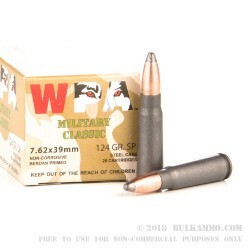 SP rounds by Wolf in 7.62x39 have a steel case and Berdan primers which cannot be reloaded. Any round with a brass case and a Boxer primer can be reloaded, like the rounds from Prvi Partizan. A: Hello Randall, Yes, you can shoot these 124gr. SP rounds by Wolf in 7.62x39 in your Draco Pistol as long as it is chambered in 7.62x39. 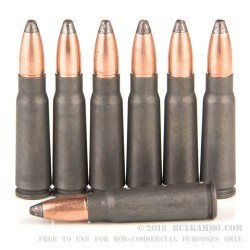 These make great target and hunting rounds in 7.62x39.